The Tom Majors Wood Art Invitational is a month-long, island-wide celebration of the creative potential of wood, and by extension, a statement of faith that the intersection of humankind and nature needn’t be disastrous, but can result in objects and experiences filled with beauty and meaning. 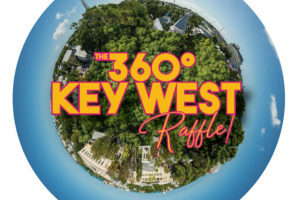 The Studios of Key West, in addition to serving as the hub for the invitational, will host With the Grain, an exhibition of contemporary wood artists from across the country. People have been living on boats off Key West longer than there has been a town called Key West – or even Cayo Hueso. On The Hook is a photo a photo narrative project focussing on this community — a mix of old timers, new comers, and sailors who are here to earn enough money to make it to the next deepwater port — the people who live on the edge of the edge. 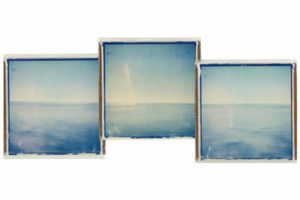 After a decade away Emma Starr reconnects with our island through her analogue photographs, seeking peace and beauty within the intimate landscape. 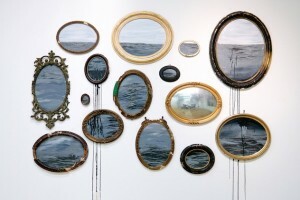 Her images explore the native flora, surrounding waters and emotive sky that have, again, become her second homeland. Starr’s deconstructed polaroids are released from their dormant form and transformed into personal narratives. Salvadoran artist Carlo Mejía serves as a conduit to the ancient Mayans, whose rooftop observatories were the wonders of the pre-Colombian world. His porcelain vases and colorful paintings are steeped in myth, with bold patterns and stylized faces that seem to gaze through time. Sales from the exhibition benefit the construction of “Hugh’s View,” The Studios’ rooftop terrace due to open late 2019. 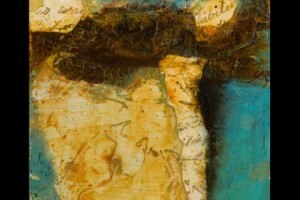 Construction artist and painter Marks presents a breadth of work that synthesizes past and present. The collection of all new work highlights the emotional content of memory while exhibiting a consciousness of current societal issues. 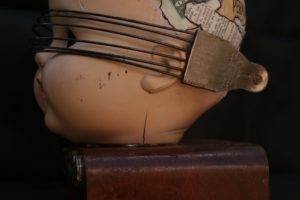 Blind Spots is a three-part exhibit developed by Key West resident Erika Biddle to encourage action against human trafficking and child exploitation. 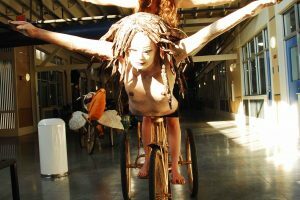 Featuring powerful images by Robin Romano, an American documentary filmmaker, producer, photojournalist, and human rights activist + installations by Key West artists Cricket Desmarais and Gretchen Mills. 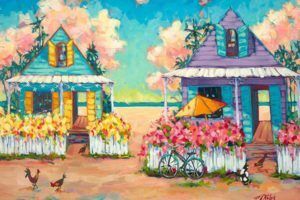 The history of Key West's charming cottages, historic homes, and island architecture is examined and reimagined in this exhibition. Ruley's revisionist approach to painting our historic jewels blends the before and after with color and whimsy. With almost a quarter century of “artists helping artists” behind them, The Studios is proud to host the annual Anne McKee auction, where aficionados gather for one of the most popular art events of the year. Proceeds help fund the vital grant program for Keys artists. 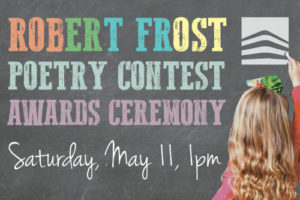 Every April since 2011, the O, Miami Poetry Festival has embraced the goal of each and every person in Greater Miami encountering a poem during the month of April. How to take the words… is O’ Miami’s first-ever public retrospective, documenting the range and depth of their accomplishment with objects, photos, video and audio. Bristol began her career as a portrait painter before adding clay to her repertoire. These days, she thrives in the dichotomy of the two mediums, imparting elements of West African and Caribbean design. 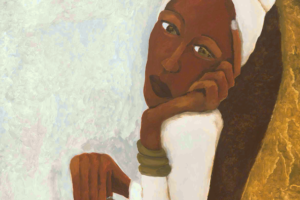 Presenting portraits in oil of writers when they were young, before they were known for their work, Dillard hopes to show that they were just ordinary people. 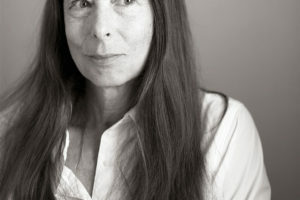 "My hope is that future young writers will not despair that they look ordinary. Almost everyone does. That’s what ordinary means. Appearance has nothing to do with genius or talent or originality or anything else important. Appearance is misinformation." Photographer Larry Blackburn has created a body of collaborative works with the help of our local arts community. 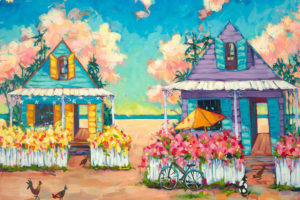 Artists such as Rick Worth and Pam Hobbs have layered their signature styles onto Blackburn’s photographs, creating dual visions of Key West scenes. As we prepare for our final push to burst through the roof - and build our long-awaited roof terrace here at The Studios - we find ourselves looking upward quite a bit lately. Whether it’s the endless blue of an ocean-colored tropical sky, the stars overhead as you bicycle home at night, or a spontaneous rainbow after a mid-afternoon shower, we invite artists to consider the simple act of looking up as metaphor for a future filled with creative possibility. 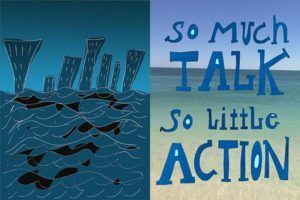 How are we grappling with climate change on individual and collective levels in a place we are actively still creating? 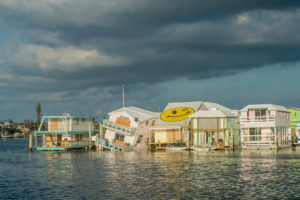 Portable Memories in Rising Seas is an ongoing participatory project about sea level rise that connects lived experience with memory and climate change. When we meet someone, we create somebody that doesn’t really exist. As we get to know them, our fantasy is challenged and inevitably, that image disappears. Do we keep our creation alive or replace it with reality? I Don’t Want to Lose Her explores this ever-changing perspective. Sculptor Tom Jorris cast 14 plaster Conch Nutcrackers from the original mold of the nutcracker used in the production Nutcracker Key West. 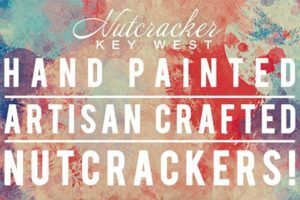 These nutcrackers inspired local artists and artisans who have embellished, painted, and re-imagined them to create one-of-a-kind works of art. Part command center, part makers' lounge, part exhibition space, the gallery is transformed into one of the creative hubs of this year's Fantasy Fest as a fresh, new artistic team takes the reins. 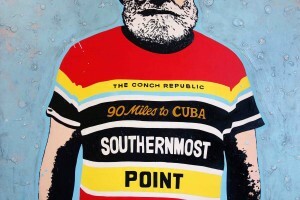 On the walls, a collection of posters, video and rare photographs from the 38 year history of Key West’s gonzo signature event. Also Christine Fifer and Co constructing over-the-top costume pieces for their Candy Land Themed Parade Float. 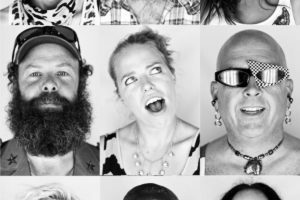 Thomas Filipkowski revisits his popular 2013 project, Heads Up Key West in which he photographed 600 faces from the community. Then and Now illuminates the changes caused by time and circumstance, providing a clear-eyed look at ordinary people coping with the reality of what it means to live in paradise. 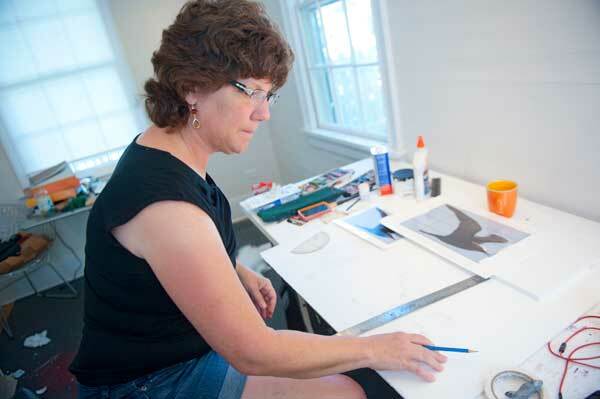 Marge Holtz describes herself as a maker, intrigued by a spectrum of media. 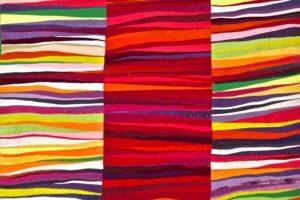 Holtz draws inspiration from the design process and the tactile sensation of fabric, creating art quilts that serve as love letters to color. 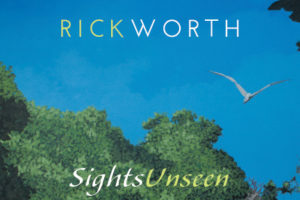 The perennial winner of “Best Artist” awards, Rick Worth is among the defining Key West artists of his generation, and likely the most productive. 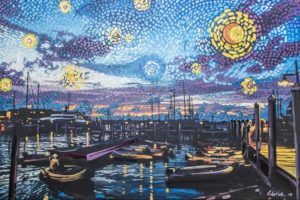 From his “shingle paintings”, which frame snippets of old Town architecture on fragments of metal roofs, to the dozens of murals bearing the signature all across the island, Worth is a fountain of creativity. 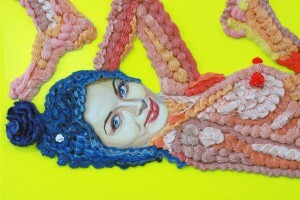 For this not-to-be missed event, Worth fills the gallery with recent work and installation-size paintings. 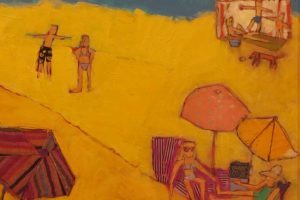 Sunbathers of all shapes and sizes laze in the sun or play in the ocean in Paige’s “Beach Day” series, marking a departure from her previous abstract paintings. Bright, lively and charming, the work is quintessentially tropical but never kitschy. 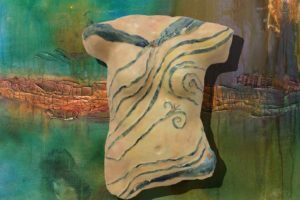 Lasswell’s ceramic torsos and Mueller’s semi-abstract paintings and mixed media sculptures serve as a dual meditation on spirituality, sensuality and the feminine. 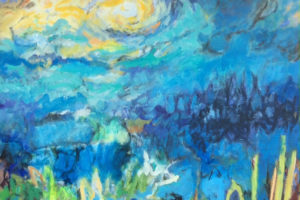 Mueller’s vibrant colors feels like they’re drawn from natural pigments, and her surfaces impacted by elemental forces: water, air, heat and gravity. Lasswell’s sculptures reveal a dancer’s awareness of her body in all of its earthy physicality. 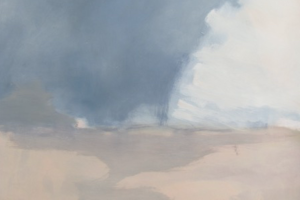 Victoria’s work deals loosely in the language of landscape in order to reveal a more private emotional space, at times pushing entirely away from recognizable landmarks into the world of pure form and color. The pieces in this series are built up from many obscured layers to create a sensual terrain, enriched by a complex history. Former Artist in Residence, Esy Casey, showcases recent video work highlighting her time spent in Key West. 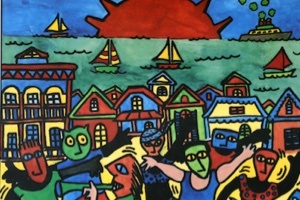 Garcia carries on the tradition of his teacher and mentor Mario Sanchez – colorful, shallow relief sculptures etched in wood – depicting his childhood in Key West. Eric Anfinson's new exhibition celebrates a decade since his first TSKW show at The Historic Armory. Without Within showcases Anfinson's new body of work alongside a retrospective of his paintings spanning the last 17 years. 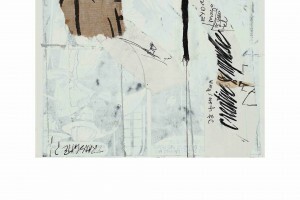 These four artists came together in 2012 through a shared interest in abstract art, and have enjoyed a collaborative relationship critiquing each other’s work. 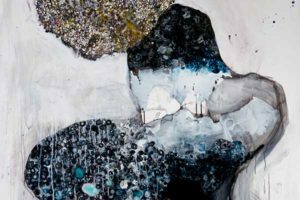 They have found that their common interest in abstract expressive painting influences their individual work, whether it be in portraiture, still life, landscape, or collage. This show of recent work reveals a diversity of approaches as each artist pursues the adventure of making art. 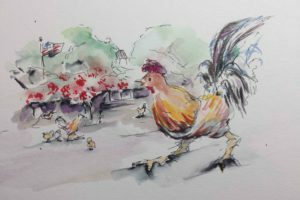 A former cartoonist, occasional parade organizer and ongoing designer of hats and accessories, Bradford’s ink and watercolor sketches capture the essence — and absurdity — of our island home. 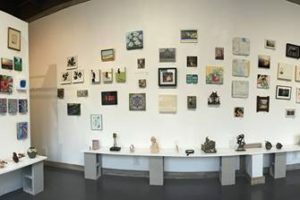 This curated exhibit of work from FKCC's Mud-Pi Ceramic Club coincides with their annual benefit on Sunday, March 11. 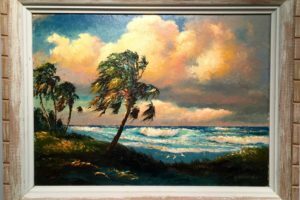 From the 1950s to the 80s, a group of African American painters known collectively as the Highwaymen captured the look and feel of "Old Florida" with saturated colors and unapologetic nostalgia. Drawn from the collection of Roger Lightle, some of the finest examples of their work is on view. Inked with equal measures of confidence and whimsy, Disrud’s paintings and illustrations puzzle together bright shapes like stained glass, yielding images that might be fairy tales, or just scenes of every day wonder. With a set of encaustic paintings and photo-transfers that feel like day dreams, the artist made famous by her "Faces of Surfing" series steps away from the large - scale portraits for which she's known. 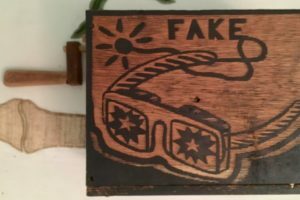 Cuban sculptor and printmaker Abel Barroso is known for constructing absurdist “technology” out of wood as a wry commentary on life on both sides of the US Embargo. 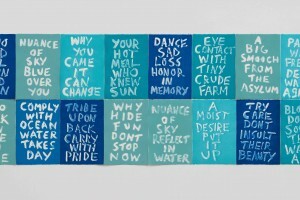 Timed with the Key West Literary Seminar’s “Writers of the Caribbean,” Barroso’s work is collected by MoMA and other major museums and speaks with humor and heart to geopolitical concerns. A blue-eyed doll’s head wears a wig of tassel. A yard-sale dogtag is offset by a snippet of black ribbon and a rusty fishhook. 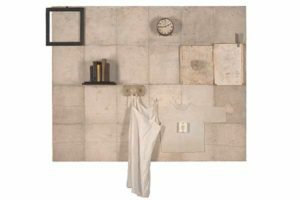 White’s assemblage sculptures and shadow boxes are elegant studies in composition, aching with memory and loss. 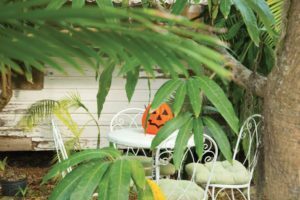 A former editor of the Miami Herald’s Sunday magazine, Silverstein trains her photographic eye on Key West’s slightly run-down charm in a series of images for her accordion-book collaboration, “Look at You, Key West,” with writer Madeleine Blais. Irma was a reminder that the cost of our delicate string of islands is the knowledge that nature comes along once in a while to wipe the slate clean. Still, signs of our resilience abound: an orchid blooming days after the storm; or neighbors helping each other clean up. Creativity often works the same way; it returns with new focus after a test. For our first post-Irma Members show we invite you to reflect on the things that bend but don’t break, the things that last, and the things that matter. Mark Hedden and Nancy Klingener will create a multimedia work about Hurricane Irma - starting with the experience of riding the storm out in The Studios itself, and moving on to the immediate aftermath and its effects on those who stayed in Key West and the Lower Keys. 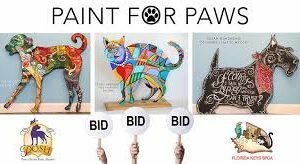 Artist and art lovers join forces to support the Florida Keys SPCA, with this annual silent auction of pet-shaped paintings. 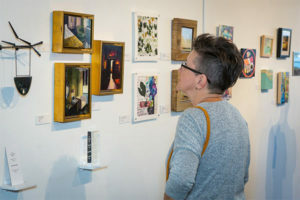 The Lemonade Stand Gallery’s Annual Small Works Show started in 2005 and since then has exhibited artists from around the globe. 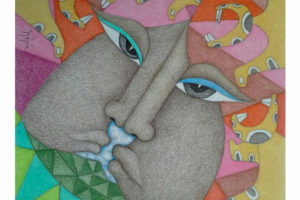 The only requirement is that the finished work is under 10 inches in any direction including the frame. All media is considered as long it is original – this includes photography. A selected jury determines which pieces get chosen for this year’s exhibit. Artists have the opportunity to enter up to three pieces. 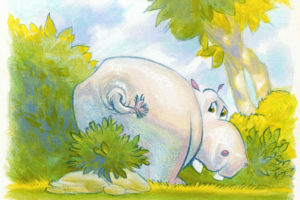 Sponsored by Strunk Ave Hardware Illustrations and narrative from the newly released children's book, Grandpa, Grandpa, What Will I See? telling the story of a grandfather and his granddaughter, imparting wisdom for the generations with humor, history and hope. 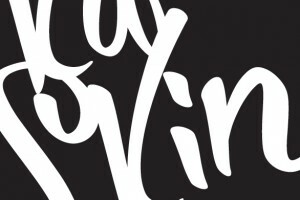 Fantasy Fest sets up a pop up production shop in the heart of Key West! Also featuring a collection of poster art and rare photographs documenting the Festival’s 38 year history. Explore the Fantasy Fest’s exciting history through festival posters, collected photos, plus video projections and interviews with creators and producers throughout the years. 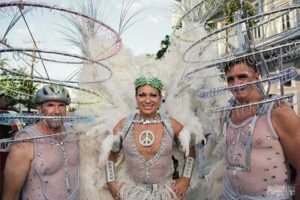 Taking over Key West every October with a riot of costumes, extravagant floats, and bacchanalian energy, Fantasy Fest is one of the most photogenic – and photographed – festivals in the nation. This select group of mostly local photographers find angles you’ve never seen. 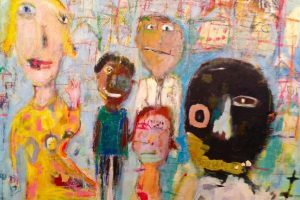 Thanks to a groundbreaking cultural exchange, One Race/The Human Race, a lively dialogue between the artists and Museo Nacional de Bellas Artes, Cuba in Havana and Key West began three years ago. 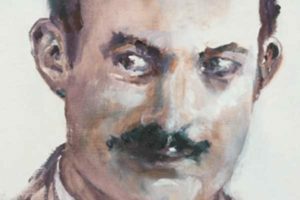 Since then, Key West has hosted the work of many of Cuba’s finest artists and a second exhibit of Tennessee Williams was hosted by MNBA. Every summer, we celebrate the slowing down and the heating up with a special Members Show and party. 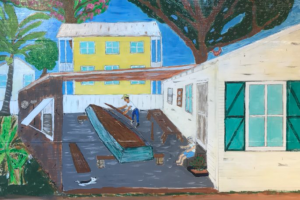 In its 5th year, Mango Madness welcomes paintings, sculptures and assorted art objects that capture the color of Key West (or simply what our talented members are up to lately). 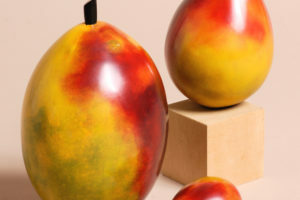 Join us for one of Perry Arnold’s famous mango margaritas while checking out the latest works from our family of artists. 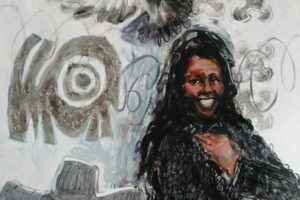 Avis Collins Robinson’s new paintings and quilts portray the richness of African American life and the deep, layered meanings of a simple word: soul. Her portraits are more than beautifully rendered likenesses; they invite the viewer to look deep and experience our common humanity. 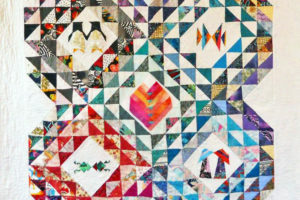 Her quilts, too, are imbued not just with striking color and form but with history and emotion. They tell stories of freedom and funk, of spirit and solidarity. 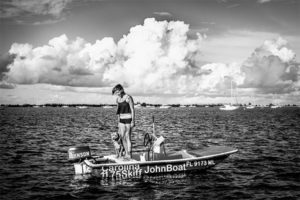 Writer, photographer and Studio Artist Mark Hedden has been looking at Key West in a new light – the flip side of the intense sun and sultry colors for which we’re known. 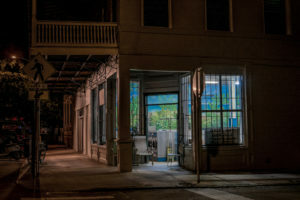 In his first solo exhibition at The Studios new home, he presents nighttime photographs of Key West and beyond. 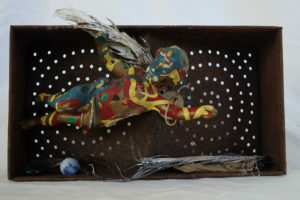 “RePurposed Kids” is a series of vintage doll heads and Singer sewing machine drawers put together as little entities that could be described as dark, fun, disturbing, psychological, and mysterious. I like using vintage objects in my work because they are rugged and have withstood the test of time. My art is a metaphorical representation of my life experience. 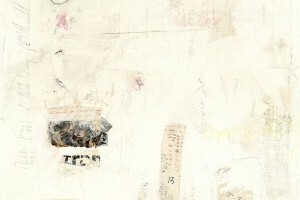 This series was made in part with the very generous contribution of the Ann McKee Artist fund. 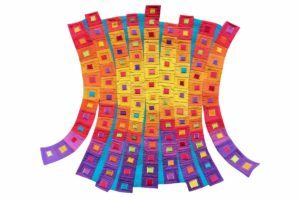 A forty-year quilter and fabric arts innovator – and regular Studios instructor - Margo Ellis presents her latest textile works. Ellis draws inspiration from nature, photography, and the materials themselves, allowing dye, fabric and thread to spin into ornate yet whimsical creations. 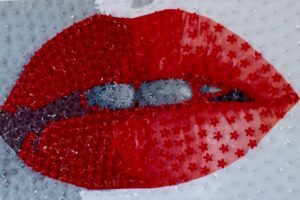 Mabel Poblet and Lisandra Ramirez are rising stars of a new generation of Cuban artists, friends from the famed Institute of Art who recently reunited for an exhibition at the Art Museum of the Americas in Washington, DC. 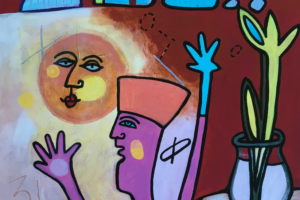 They’re joined here by pioneers of the previous generation, The-Merger, whose gleaming sculptures and playful collaborations set the tone for much of Cuba’s white hot art scene. Angular steel and open horizons complement each other in surprising ways in this pairing of well-regarded Key West artists. 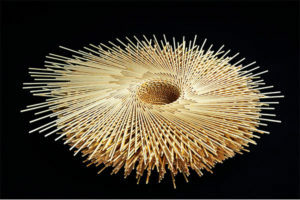 Wynn utilizes welding, torch-cutting and grinding to create her signature works. For her, the quest to acquire scrap metal and the process of learning new machine techniques are driving forces to create. 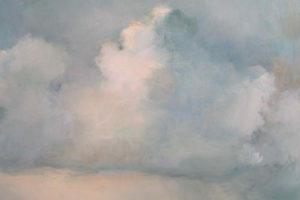 Sugar captures Key West's tumultuous summer skies, painting on site in watercolor at dawn and dusk. 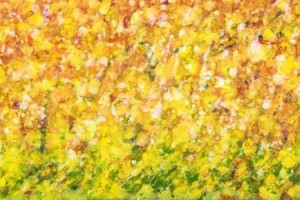 Later she transforms her collection of delicate watercolors into large oils in her studio. 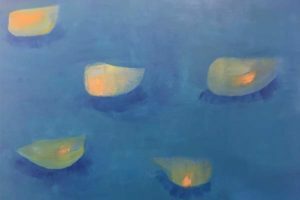 Pam Hobbs or Maggie Ruley are quintessential Key West artists: Hobbs with bold colors, black outlines, and a woozy perspective; and Ruley with soft seascapes that make you feel like a green flash could appear any moment. Seen together, the good friends capture just about everything we love about this place. 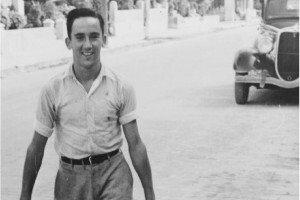 John Martini lives and works in Key West, Florida and Veuxhaulles-Sur-Aube, France. 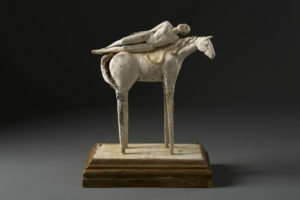 His sculptures are shown internationally in galleries and museums including Lucky Street Gallery in Key West, Sandler Hudson Gallery in Atlanta, GA, the Shidoni Annual in New Mexico, Galerie Antoine Laurentin in Paris, France and Galleria Santamarta in Milan, Italy. 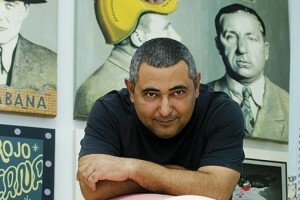 His works are extensively represented in private and public collections including the large installation, “Head2Head,” at the Grounds for Sculpture in Hamilton, New Jersey. 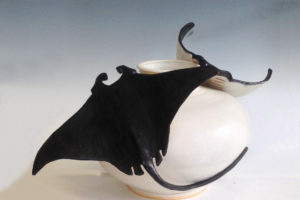 Twenty years ago, porcelain artist Cathy Rose left teaching to pursue her art full time. Thousands of clay figures later, she has built an impressive and sought-after body of work, manipulating her delicate material into faces and bodies that are adorned with found material and imbued with uncanny personality. 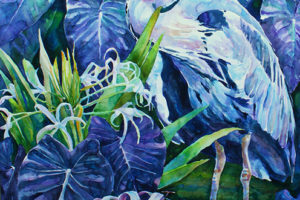 Key West watercolor artist Sean Callahan and 4-time Emmy Award winning writer Garin Wolf join forces for a unique assemblage of images and words. Fish Outta Water is a Southernmost tale of a haunted woman cast adrift by a tortured past, a decades-old story of deception and murder unraveled character by character at a most unconventional cocktail party. Callahan’s surreal portraits capture the story’s characters, while Wolf’s written excerpts provide clues to the mystery. Since its inception 35 years ago, writers and lovers of language from around the world have flocked to the Key West Literary Seminar like the swallows of Capistrano. In a series of elegant black and white portraits, photographer Curt Richter has captured this fleeting yet persistent community. Famous writers are to be seen, yes – Margaret Atwood, William Gibson, Calvin Trillin, the list goes on – but also the volunteers, attendees and contract workers who play their role as well. 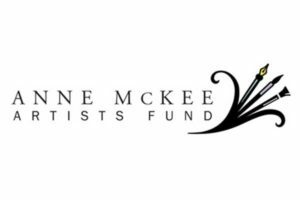 Since 1994, The Anne McKee Artists Fund has been the only grant program of its kind for Keys artists. Not only has it had an immeasurable impact on an entire generation, the artists who’ve benefited – and who are assembled for this retrospective - is a who’s who of creative people who’ve shaped our community. Sponsored by Royal Furniture As The Studios celebrates its TENTH birthday, we invite our artist members to cast their minds back to when they were ten themselves. Where were you, how did it feel, what did the world look like through the fresh eyes of a child? As always, the theme is optional, a springboard for your imagination. Join us for cake at the opening reception! With bright colors that wait for nobody, and the wild freedom of childhood drawings, Lucy Stevens’ latest series captures the jumbles of bodies congregating at one of her favorite places: the bus stop. People of all shapes, colors and sizes find themselves equal there, randomly assembled and all waiting for the same thing – to go somewhere. 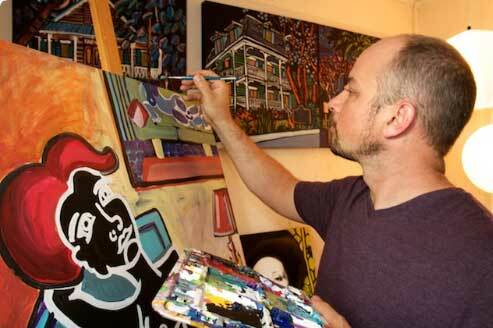 Stevens is a former Artist in Residence who exhibits in New York, France and Key West. 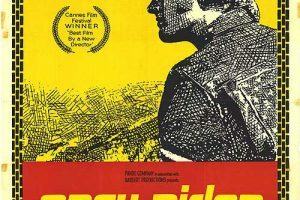 In time for the Key West Film Festival a private LA collector has lent these vintage first run Hollywood posters — from 1930s Busby Berkley films all the way to Easy Rider. The vivid colors and stunning graphics are as iconic as the films themselves. Classically trained as a figurative painter, Abiy T. Frew pushes the limits of representation and paint to maximize their expressive potential. 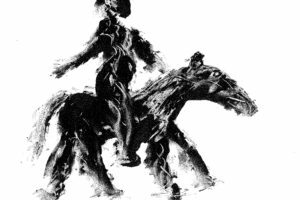 Surfaces are built up and scraped down; pigment is applied in gentle washes or with aggressive strokes. In the context of a global refugee crisis, Frew’s latest series, “IN/VISIBLE” starts with the notion of chiaroscuro (“light and shadow”) and explores the personal and political dimensions of displacement, absence and belonging. The colors, the creativity, the costumes! 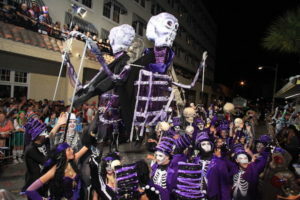 Fantasy Fest ignites our island's best ideas and inspirations and brings them to life. What you don’t often see are the countless hours of behind-the-scenes creative work it takes to make the magic. This month, we’re opening a window into the process and transforming our gallery into an incubator for creative expression. New Orleans parade producer Katrina Brees oversees the fun, offering tips, tricks and design guidance along the way. Drawing on his curiosities and inspirations, Benjamin Entner creates larger than life inflatable “still lifes and portraits”. The works bridge the gap between 2D and 3D and have a sarcastic edge. 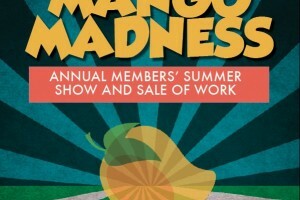 Our Summer Salon is an exhibit completely comprised of member artists, or Mango Madness, and a celebration of all things mango! 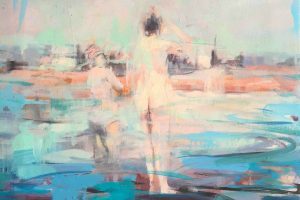 In Plowdrey's elegant, erotically charged paintings, the interplay between land and sea becomes a dance of procreation, with the female figure standing in as Venus. The installation is layered with video of Keys residents that speaks to their connection to the landscape. Famous for its drag shows, burlesque, festivals, and live theater tradition, Key West offers the perfect environment for a photographic exploration of identity and make believe. With the notion of transformation in mind Andrew Printer takes his camera backstage and into public spaces in search of the intangible. 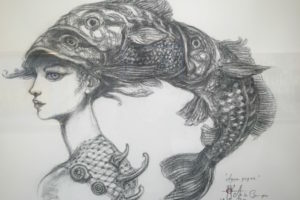 On his third visit to Key West, Tamayo presents a body of work created just for the occasion, including a collaboration with Miami-Cuban artist Nestor Arena. 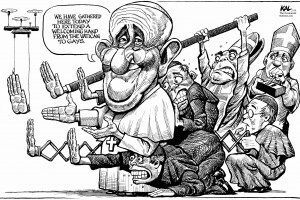 One of the world's great political cartoonist, Kal captures the news and newsmakers of recent history with his satirical pen. The original drawings are a must-see for news junkies, history buffs, art lovers and anyone who enjoys a good chuckle. Aleister Eaves, a local artist, explores trauma and healing through multichannel video production in the Project Space at The Studios. 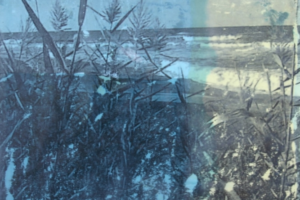 Three artist consider how we imprint ourselves on the landscape with the weight of culture, economy, and memory. Presented in Partnership with the Art Students League of NYC as part of Currents & Confluences: Symposium of Arts & Ideas. Imbued with spontaneity, play, and wonder, each one offers a story to be told, and discoveries to be uncovered. 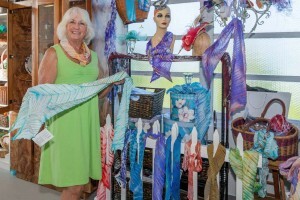 Local artist and critical thinker Roberta Marks has become a popular fixture at The Studios of Key West. Her Abstract Painting Seminar students have been engaged in new creative learning at the newly renovated home of The Studios of Key West, 533 Eaton Street, for a ten week seminar. 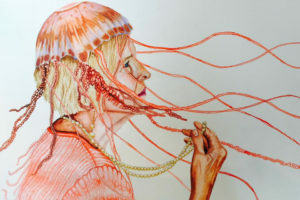 The month long show includes paintings and mixed-media by 16 different students. Some have spent multiple seasons under Roberta’s eye, while others, are debuting their work after their first formal seminar with the instructor. Lou Stovall has been pioneering techniques in silkscreen for almost 50 years. His own works thrum with color and energy like fields of poppies, and his legendary print workshop in Washington, D.C. has been a haven for artists from Jacob Lawrence to Alexander Calder. Stovall’s recent body of work is built of layered and torn prints, shown with a few of his favorite collaborative works with other artists. 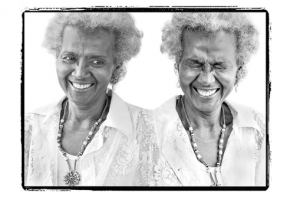 Combining black and white photography, video and sound, Philip captures his subjects and explores how aging in place – and specifically aging in Key West – becomes a celebration of style, and the joy of living comfortably in one’s own skin. On Thursday, January 7 from 6-8pm, The Studios of Key West kicks off a new, art-filled year with open artist studios and a reception for two new exhibitions — "16 Tons" by John Martini and "92 in the Shade" by Garth Holtkamp. 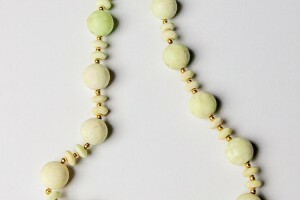 “It’s up to individuals to choose how they decorate themselves.” These necklaces drape the neck with color and light formed from rare minerals and metals. The materials are selected and cut to Konrath’s designs and then carefully assembled with a discipline of drape, tension, pattern and aesthetic consideration. 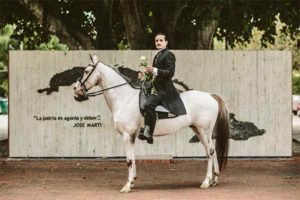 In July 2014 at Havana’s Plaza Vieja, the general public — Cuban nationals only — were invited to a brief series of portraits in open-air studios with two very disparate photographers: Cuban Yanela Piñeiro and American Jeffrey Cardenas. The resulting photographic narrative — 100 black-and-white images — speaks to how these photographers look at their subjects, but also at how their subjects look back. AIR Adam Maclay’s new collection transforms beauty and perspective and asks us to take a second look at how we see ourselves and the world. 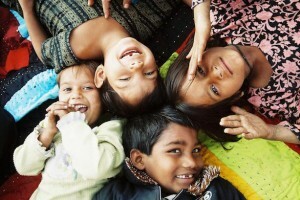 Quilts for Kids Nepal is a microfinance project, based in Kathmandu, Nepal. 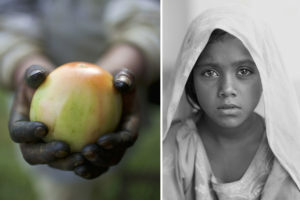 It's mission is to provide work for economically-challenged women and to finance education for underprivileged children. Founded in 2006, the project operates in an encampment of Indian street beggars located in a large field in the Boudhanath neighborhood of Kathmandu. The Studio Artists turn their spaces inside out for the month of September, displaying their latest pieces in the XOJ Gallery. Each artist will share works that they have created over the last several months in their new home. On Monday July 13, Reynerio Tamayo presents a series of his most recent paintings on an environmental theme, taking questions and speaking about the state of art in Cuba today. 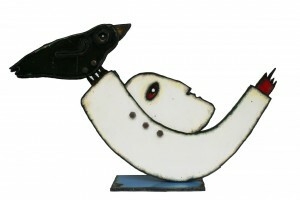 South African contemporary artist Anja Marais was born in a small town in the African Bushveld. 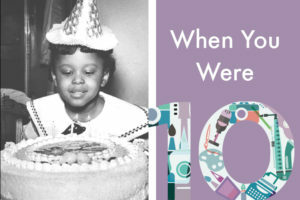 Her childhood was spent nestled inside the cottoned, pseudo-utopia of a segregated society. Seeking to pierce the elusive truth of a land operating ‘under the rose,’ she turned towards art to shed light on the shadows of humanity and herself. Year after year, Marks has proven to be not only an impressive artist, but also an inspiring and challenging instructor. Her students work diligently to create their best abstractions, while exploring the deep driving reasons behind their personal expressions. Works representing 10 weeks of dedication by her 2015 class are on view. Miles Davis’ The Birth of the Cool is celebrated for its innovative style and inclusion of numerous notable musicians. As TSKW moves into its new home, we celebrate our own “rebirth of the cool” with an exhibition inviting members to explore ideas of reinvention and improvisation. 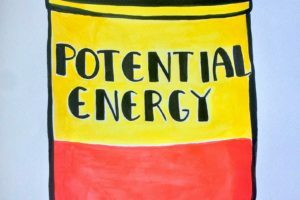 Participating artists may interpret the concept literally or abstractly, resulting in a wide array of ideas and visuals. Stainless, the three-man collective of Alejandro Pineiro Bello, Jose Gabriel Capaz and Roberto Fabelo Hung, create works that are provocative and significant, without sacrificing the fun. 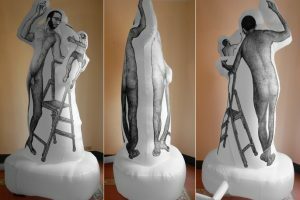 Fresh out of Havana’s renowned San Alejandro Academy of Fine Art, these young artists who embody equal parts bravado, seduction, and humor are thriving amidst the explosion of recent interest in contemporary Cuban art.